I have shared on this blog the story of my late husband, John M. Cavalieri, who, two years before his death, wrote a memoir about his time as a West Point cadet during the Vietnam War. John also wrote about his battle with cancer and impersonal systems – the military, the medical establishment and corporate America; systems which often destroy the individual spirit and soul. 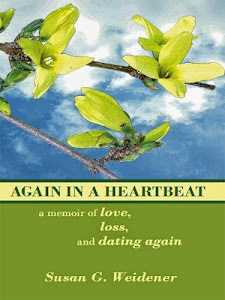 My new book, anticipated publication date early next year, is titled A PORTRAIT OF LOVE AND HONOR. Wrapped around the memoir of Jay Scioli (John’s pseudonym) is the story of Ava Stuart, author and editor, a woman who fears taking a risk on love, almost as much as she fears never finding it at all. Ava and Jay's love story "embraces" Jay's memories of the past and serves as a canvas on which to paint a larger portrait of love and honor. 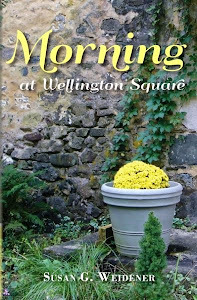 My son, Daniel Cavalieri, pointed out that by incorporating his father’s memoir into a fictionalized love story, it represented the ending to a trilogy which began with Again in a Heartbeat: a memoir of love, loss and dating again, and its sequel Morning at Wellington Square. So at the very end with A Portrait of Love and Honor, we arrive back at the beginning. For the past two years, I’ve written and revised numerous drafts. I’ve gone to bed thinking about the story, jumped up to write down this line of dialogue, that turn of phrase while still fresh in my mind. After batting around a dozen titles, I settled on one I felt the perfect fit. Even the image for the cover (see photograph above) came to me in one shining moment. Last week, I finished my book; felt as good as any writer can feel when accomplishing something they set out to do. 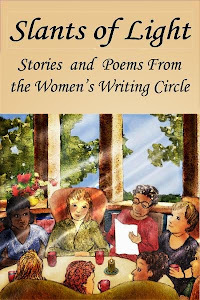 The Women’s Writing Circle provided invaluable input as I crafted my story and read excerpts. I especially thank Edda Pitassi, who gave heart and soul as my developmental editor – a woman of Italian American descent whom I know John would have loved; Diane Yannick, whose sensitive and insightful critique came unexpectedly and “capped off” the final version; Marjory Cafone who has been supportive and a valuable listening ear at read around and in private conversations. Collaboration, friendship and support have always helped the writer. I may not have Gertrude Stein’s salon but I have something equally treasured and valuable – a circle of friends, colleagues and mentors who inspire and encourage the hard work of not just starting, but finishing a book, offering insight how to improve it. Colleagues, friends and other authors can be incentive to finishing your work-in-progress.. I also thank Elizabeth Madden, a psychologist and social worker who critiqued the story and suggested I dig deep into the psychological dynamics of Jay and his family. Betty urged me to ask the questions: Why did Jay keep coming back to West Point year after year? What role did his mother – an Italian immigrant, play in Jay’s desire to be special? Was pleasing his father, a World War II veteran, instrumental in Jay’s decision to pursue his dream of becoming an officer despite signs that “duty, honor and country” often fell flat in the face of reality? Cindy wanted me to dig deeper into Ava’s story. That helped establish the framework of my novel – Ava’s love acting as an “embrace” around Jay story. I also thank my son, Alex Cavalieri, who read the book and offered up what will eventually become its synopsis. And Bruce Mowday, bestselling author of Pennsylvania history and a friend for over two decades, whose interest in Jay’s story offered the much needed male perspective, separate from my sons. 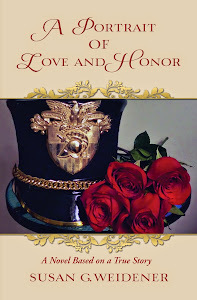 In coming months I’ll blog about the themes in A Portrait of Love and Honor, perhaps, take a page out of author Mary Gottschalk's innovative marketing and seek guest bloggers to write about those themes. For now, just finishing the book offers a restful shore. TOP PHOTO: Susan G. Weidener photo: All rights reserved.